This short article deals with preamplifier valves for guitar amplifiers. There is another article which covers power guitar amplifier valves and also rectifier guitar amplifier valves. It is not intended to show you how tube amps work or the detailed operation of a tube amplifier. are only three basic types of guitar amplifier valves, although there are different makes (manufacturers) for each type. Briefly though, the power guitar amplifier valves do the ‘heavy lifting’ in the output stage of the amplifier. They supply the power which moves the speaker. Rectifier guitar amplifier valves are rare but purists like the keep their old rectifier valve in their vintage amplifier. All this valve does is to rectify the AC mains input to produce DC. This is FAR better done with silicon rectifier diodes these days and very few amps have rectifier guitar amplifier valves nowadays. 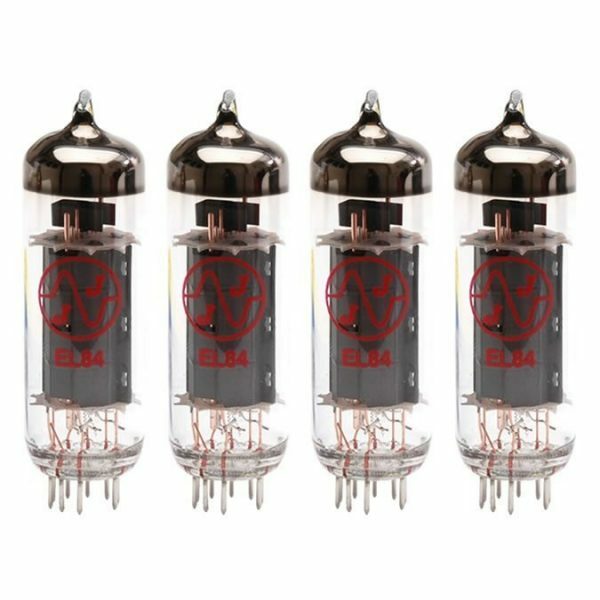 These guitar amplifier valves are easily recognisable as they are the smaller tubes in your amplifier. The large tubes are the power valves. So what do these preamplifier valves actually do? First you need to understand that the input signal from your guitar is very low level. Typically it will be 100mV or so, AC of course. That’s a tenth of a volt! It’s amazing the guitar produces this amount! It is, after all, generated by waggling a metal string in front of a coil! The preamplifier valves take the very low level signal from your guitar and amplify it up in several stages. For reasons I won’t bore you with, you can only get a certain amount of gain from a single valve stage. So you need to cascade several guitar amplifier valves to get the gain we need. The valve guitar amp may have a reverb pan. If so, we use a preamplifier valve to amplify the very low level coming back from the reverb pan. The pan needs a high level signal to drive spring, but by the time the sound has passed along the spring and activated the small pickup coil, it’s at a very low level. the Guitar amplifier valves are also needed to boost the signal after it has been passed through a passive (and hence lossy) tone control stack. If you have an ‘overdrive’ facility on your amplifier, this will need an additional gain stage to give the insanely high gains demanded. Finally, one preamplifier valve is configured as a ‘phase splitter’ right before the signal is passed to the power valves. The phase splitter valve produces two 180 phase shifted signals to drive the ‘push pull’ output stage. Valves suitable for phase splitters are usually selected to have equal gain on both halves because you want to drive the output valves (a matched pair or matched quad) with an identical signal. Bottom line? Open up any valve guitar amplifier and you will see between 3 and 6 preamplifier valves sitting there. 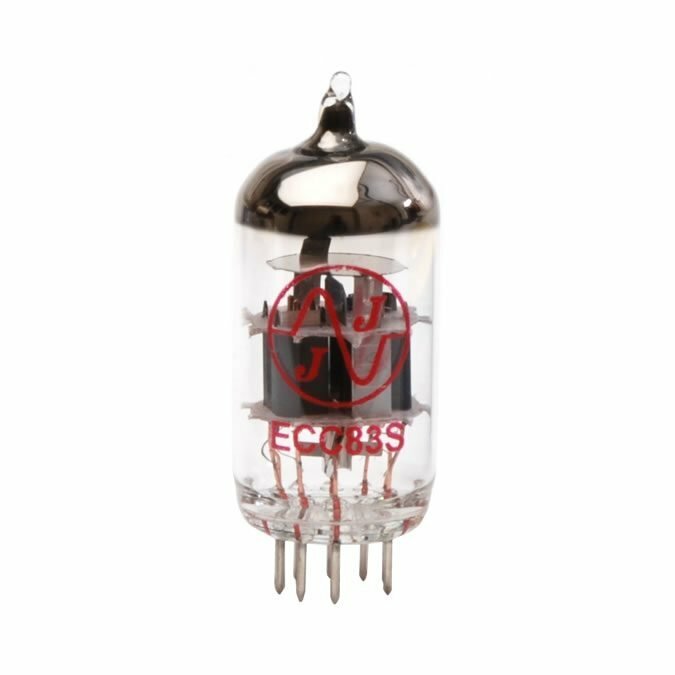 They will almost all be the ECC83/12AX7 valve. This is by far and away the most common of the preamplifier guitar amplifier valves. Each ECC83 is actually two valves in one glass envelope, so you can get two stages of gain from one valve. You may also notice some of the earlier stage guitar amplifier valves have a metal can around them (which you can easily removee of course). What’s that for? It acts as a screen to shield from unwanted noise and hum. The less of this you have in the early stages of the amplifier, the better (because obviously it all gets amplified up in subsequent stages). Occasionally you will find an ECC82 or ECC81 used as a preamplfying valve. These are nearly identical to the ECC83 but they just have a somewhat lower gain. See my other articles on guitar amplifier valves which covers Power valves and rectifier valves. ← Valve Guitar Amplifier – Which is the best?